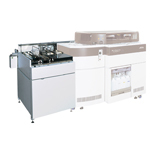 SuperCOOL probe | Products | JEOL Ltd. 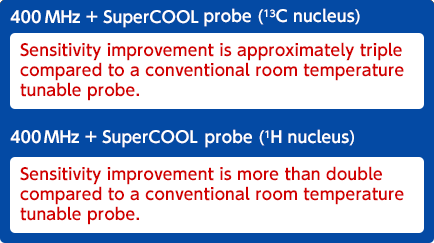 The “SuperCOOL” probe (the detection coil is cooled to liquid nitrogen temperature) is highly cost efficient when compared with the “UltraCOOL” probe (the detection coil is cooled to liquid helium temperature). SuperCOOL probes come with a new cooling system that does not require a water chiller. As it can run experiments in one-ninth of the time, measurements which used to take several days can now be made in a few hours, thus improving the operational efficiency of the instrument. 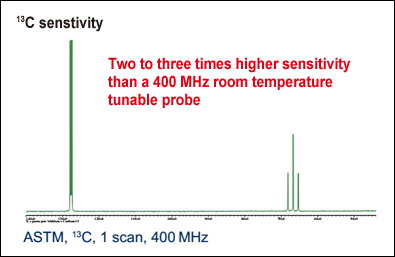 Two to three-fold sensitivity improvement for 13C, sensitivity more than doubled for 1H, when compared with a conventional room temperature probe. Measurement time is reduced to approx. one-eighth that of room temperature probe. A 24 hour measurement by a room temperature probe can be done in less than three hours using a SuperCOOL probe. 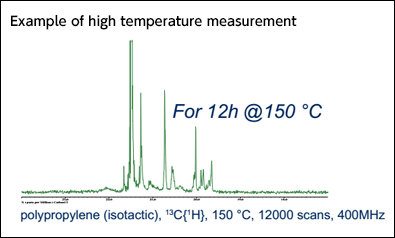 Measurements at high temperatures up to 150 °C and the high sensitivity of SuperCOOL probe show outstanding results for polymer samples, etc. 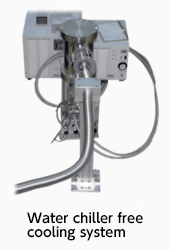 probe Uses cryogenically cooled helium gas to achieve low temperature using recirculating type chiller. 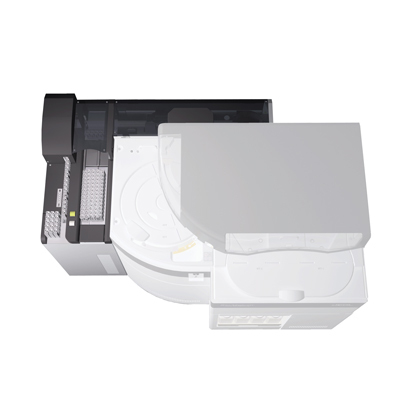 With the circulating type design the coil/pre-amplifier temperature is slightly higher than UltraCOOL probe. 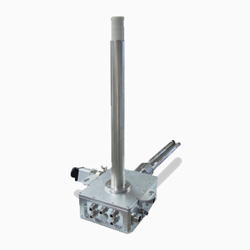 With the open type design, liquid nitrogen is used to achieve very low coil/pre-amplifier temperature.